Paris-based Christophe Delcourt was born in Saint-Maur-des-Fossés, France in 1966. 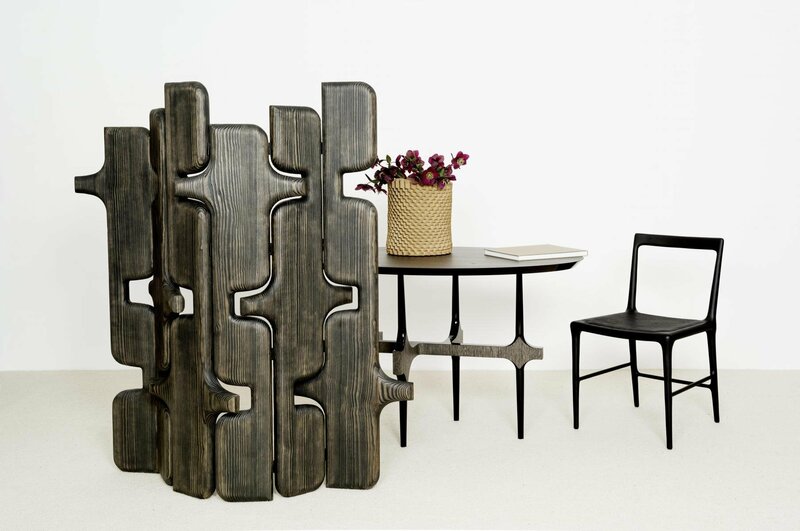 He is a self-taught designer and interior architect known for handcrafted furniture and lighting that demonstrate a respect for the environment and a passion for French craft tradition. Delcourt began his studies in acting; he graduated from the drama school Cours Florent in Paris in 1988 and attended the Théâtre École du Passage in Paris in 1989. After sketching stage layouts, however, he realized design was his true calling, and he left his theatrical studies to pursue a career as a designer. After networking with different craftsmen and cabinetmakers to hone his craft, he launched his eponymous studio in the heart of Marais—Paris’s 7th arrondissement—in 1996. Delcourt’s work combines raw materials and elegant lines, and he relies heavily on nature and natural materials—and their ability to shape a design with depth, emotion, and warmth—to inform his work. 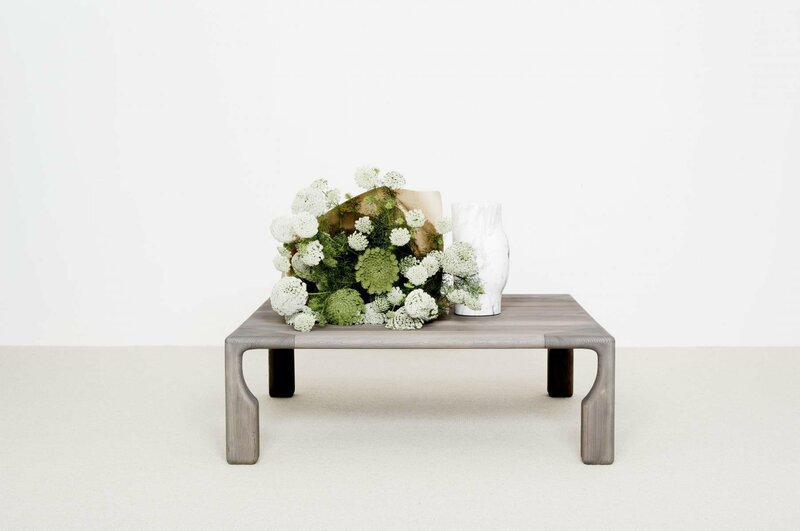 According to the designer, “Nature is the first element in my design process. If you look, there are so many shapes that you find in nature that you can apply to furniture design—the colors, the textures, the way things can be mixed together. 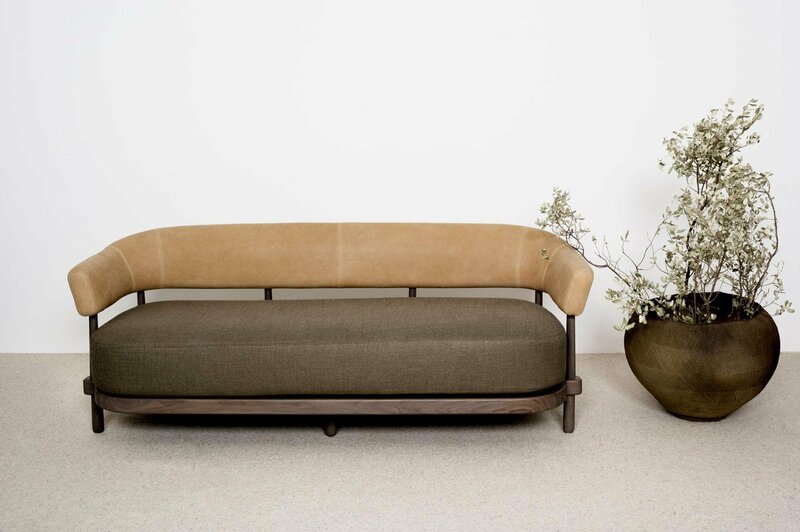 I hope my work is a testimony of my love for material and my profound allegiance to the work of the hand.” Delcourt approaches each of his designs as potential lifelong investments, noting, “I think we must not only live but grow older with a piece of furniture… Nowadays, we eat, work, love, on a sofa… [So] when designing a sofa, one must understand that it will be a true companion for life.” The designer cites legends such as Jean Prouvé, Pierre Chareau, and Jean-Michel Frank as strong influences in his work. 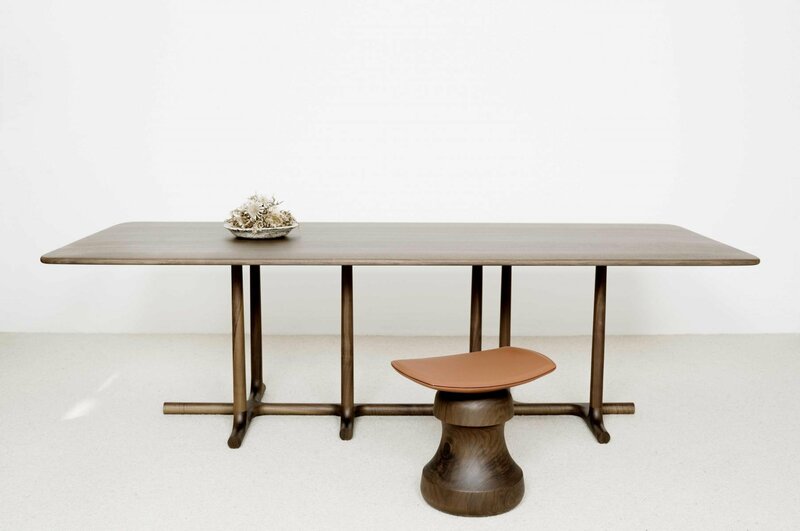 To date, Delcourt has collaborated with numerous designers and studios, including the French maison d’édition, Collection Particulière—founded by Jérôme Aumont in 2014—for which Delcourt designed the walnut and leather ROI, FOU, MAT (2014), WAN stools (2015), PAD side tables (2015), and, more recently, the BOS vase (2016) and SLO bookends (2016). He has also designed furniture for Roche Bobois, Cartier’s showroom in Tokyo, the Saint Regis Bal Harbour Resort in Miami, and Louis Vuitton offices in Paris, Barcelona, and Hong Kong. 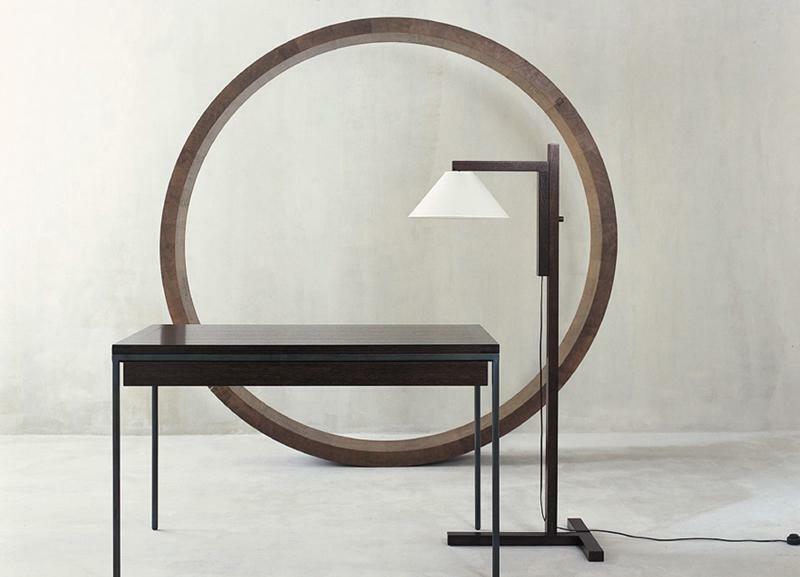 Other notable projects include the NEJ desk (2014) and TIL table (2015), both of which were exhibited at the Palazzo Farnese, home of the French Embassy in Rome in 2016. 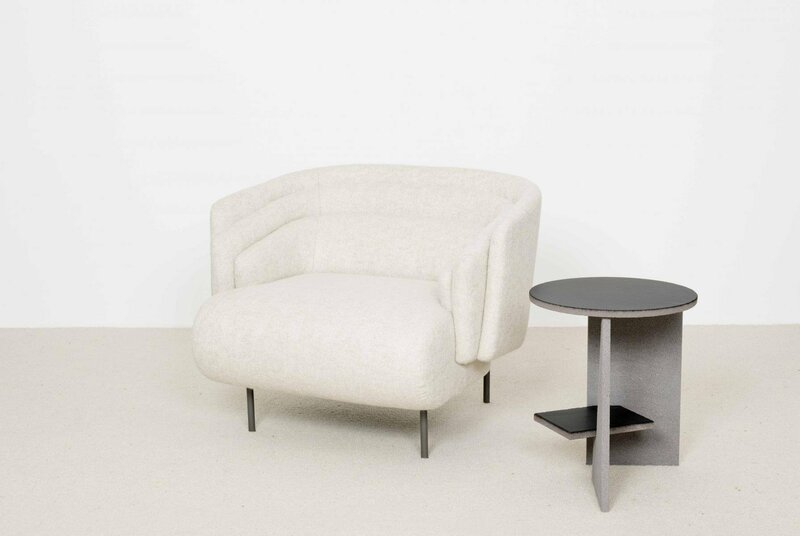 In addition to his own design work, Delcourt is also an editor, and his catalog includes pieces of furniture exclusively designed by François Champsaur, Jean-Pierre Tortil, Tristan Auer, Laurent Nicolas, and Vincent Dupont-Rougier. 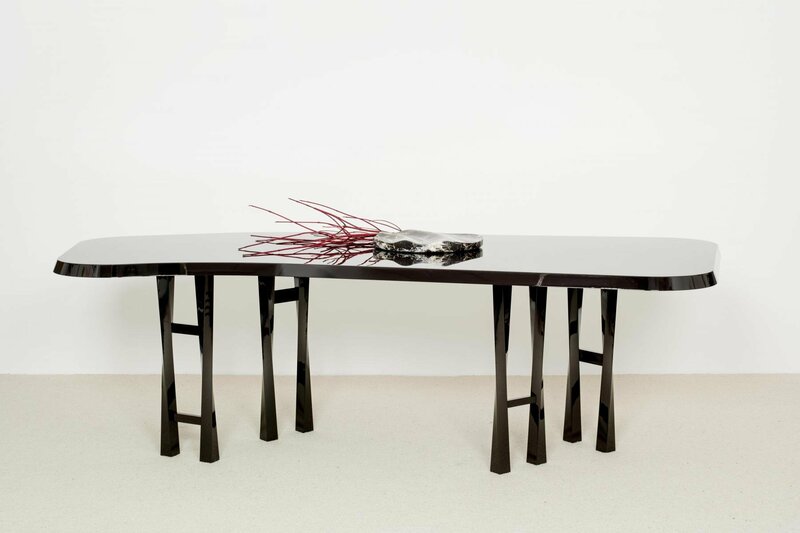 Delcourt’s designs have been exhibited at many prestigious art galleries and showrooms worldwide, including Ralph Pucci in the United States, Avenue Road in Toronto, Canada, and the Le Cadre Gallery in Hong Kong. 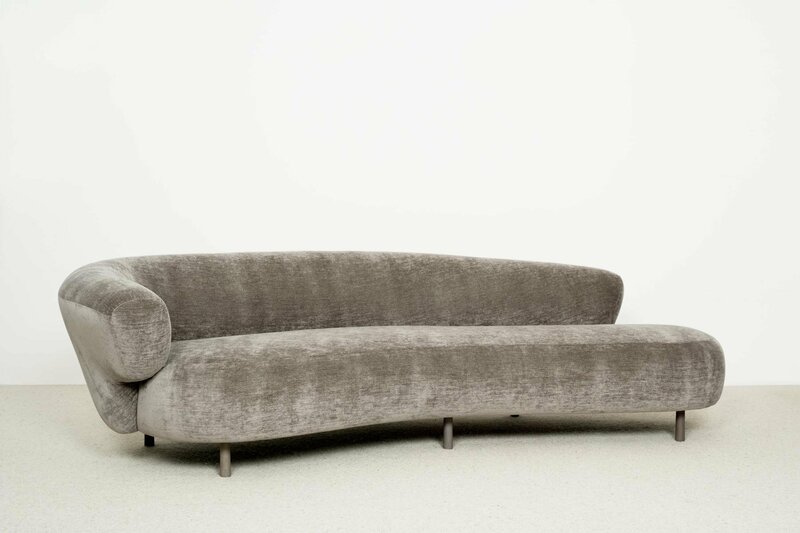 In 1999, he won the Designer of the Year award from Maison & Objet.